Big Sky Botanicals CBD Balm is fantastic for helping alleviate aches and soreness, and for providing effective support for numerous skin conditions such as itching, rashes, eczema, and psoriasis. See this article to learn how we calculate the effective price per milligram of CBD. 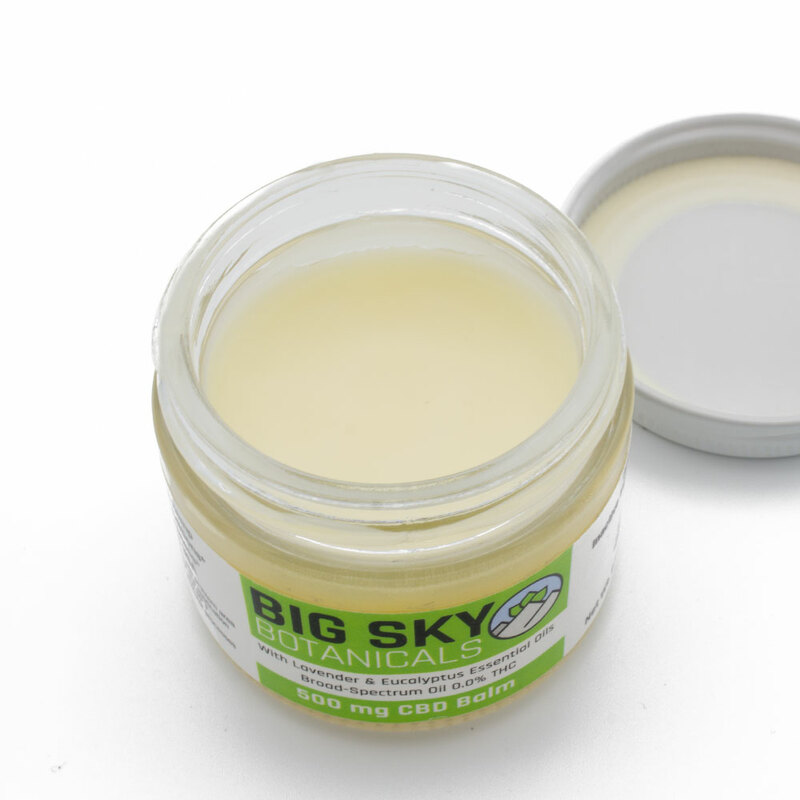 Big Sky Botanicals CBD balm features a superb carrier agent, medium-chain triglycerides (MCT), which helps maximize skin penetration. This means that a little goes a long way. Lavender and Eucalyptus essential oils also act as carriers for the phytocannabinoid-rich hemp oil, while imparting a subtly pleasant fragrance. Use to alleviate aches, soreness, and for providing effective support for numerous skin conditions such as itching, rashes, eczema, and psoriasis. CBD Balm not only has a plethora of daily uses, but it also has a full 18-month shelf life. Keep a jar nearby, storing it at temperatures between 60° and 80°. Try this product risk-free with our 30-day return policy. 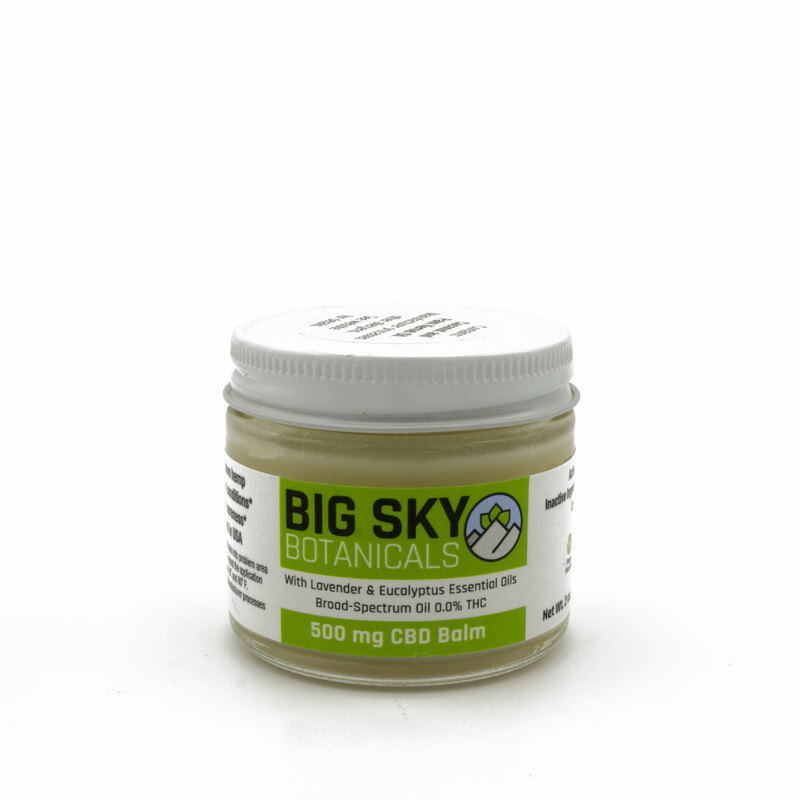 Simply apply a thin layer of CBD Balm onto the problem area and massage gently into the skin until completely absorbed. For best results, repeat the application another one or two times throughout the day as needed. 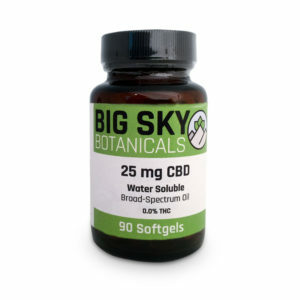 At Big Sky Botanicals it is our top priority to continue to monitor the hemp industry landscape, best practices, federal law, state law, and rules imposed by regulating bodies. Our goal is to ensure that our products, company, and educational resources are accurate, safe, and in compliance with the current legal landscape. 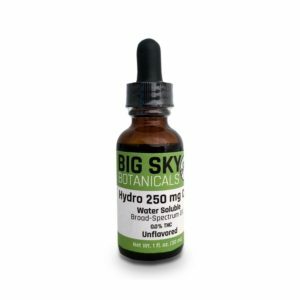 The hemp that is used to create the products we sell at Big Sky Botanicals is grown in accordance with the 2018 Farm Bill. As a result the products we sell on our website are federally legal. Our products are produced in a facility that is Good Manufacturing Practices (GMP) Compliant. We provide batch-level lab reports for each product verifying potency and purity. See the lab reports tab for more. For more information, see our Compliance & Safety page.